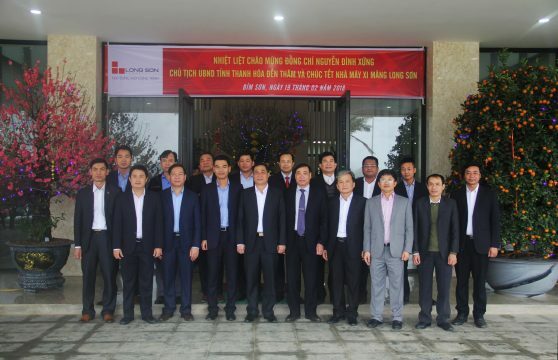 Leaders of Bim Son Town and Top management of Long Son Cement Board prepared to welcome Chairman Nguyen Dinh Xung. 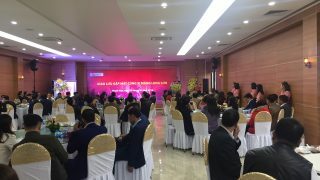 In the meeting, the chairman heard a report on business results of the company in the past year. 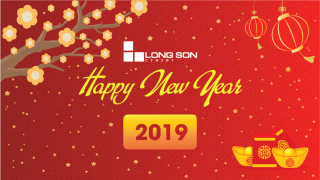 Accordingly, in 2017 Long Son Cement completed construction and start production line 2 which raised the capacity to about 5 million tons per year with a total investment of over 8 trillions. 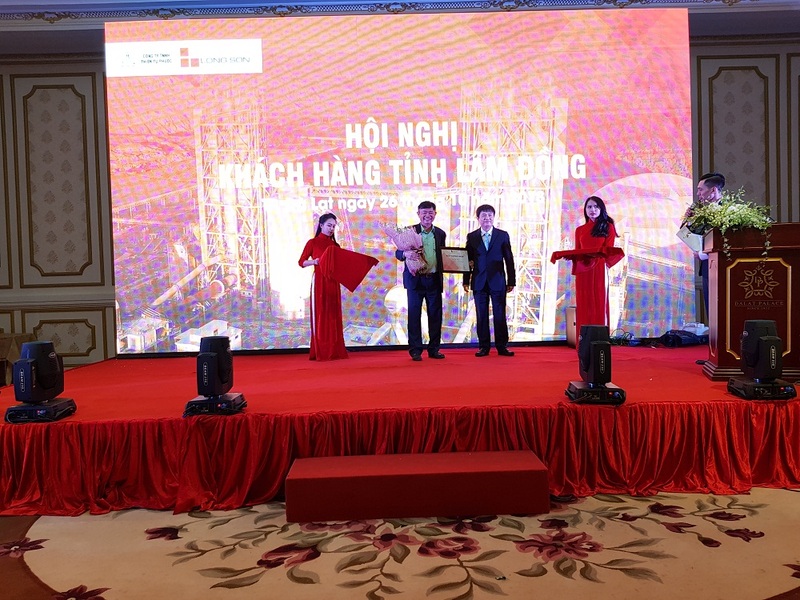 According to the Chairman, Long Son Cement in 2017 contributed 1.2% out of 15% growth of the province. 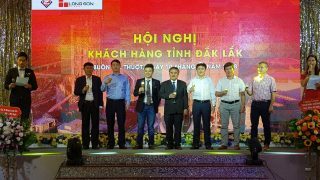 Mr. Nguyen Thanh Trung – Director of Long Son Cementreported on business results. 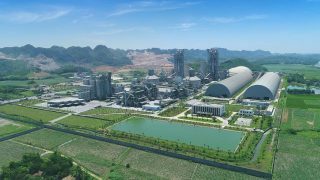 In terms of production and business, by the end of December 2017 Clinker output reached 3.2 million tons. 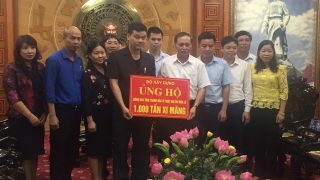 Cement sales volume reached over 2.6 millions tons and revenue was over 3 trillions VND, paid tax over 150 billions. 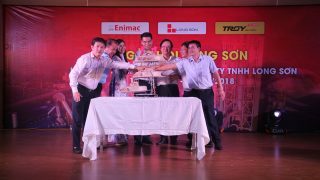 Besides, Long Son Cement always pay attention to and fullfill policies on social welfare, insurance for all the employees. 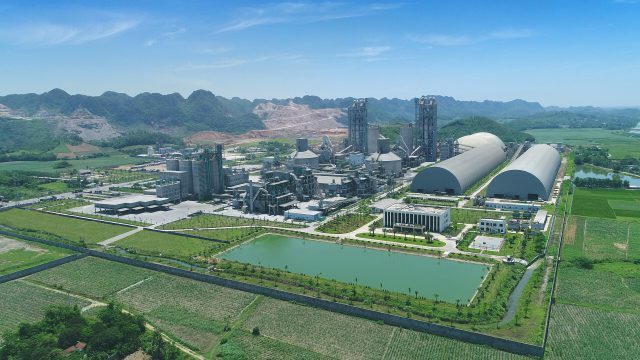 Currently, Long Son Cement has created 1000 jobs, 98% of which come from local area and Thanh Hoa province. 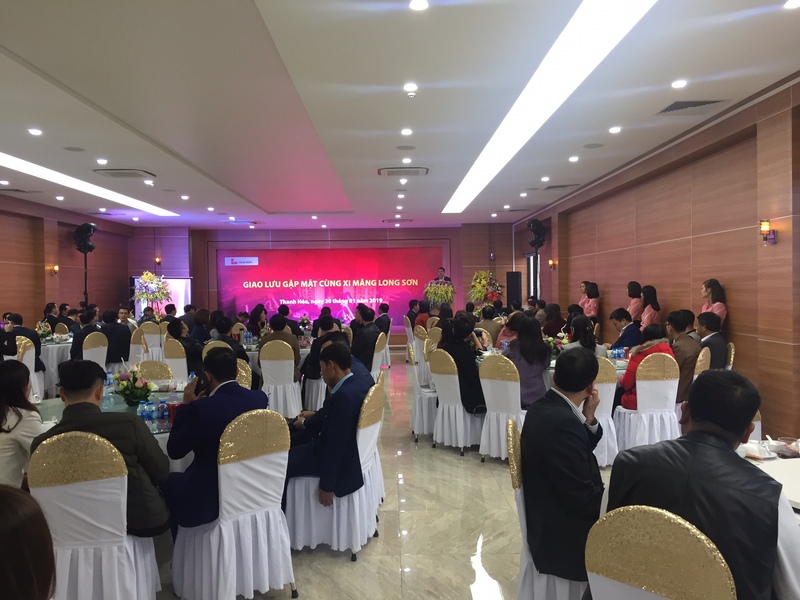 The number of engineers and skilled workers accounts for 20%. 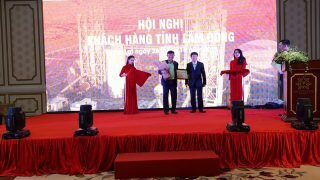 In addition to the achievements, Long Son Cement has set targets for the new year 2018 such as: continuing stable operation and selling out all capacity of two production lines, improving life and income of all employees compared to 2017 and fulfilling tax obligations to Thanh Hoa province. 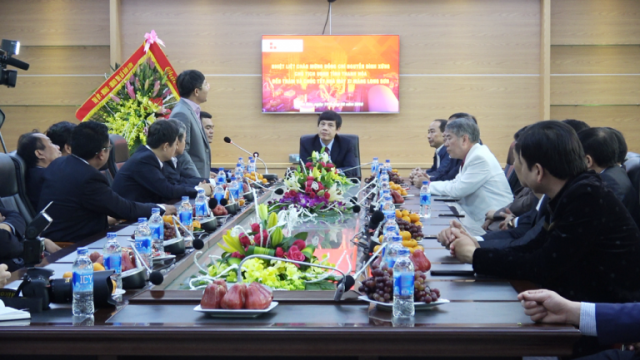 In the meeting, Mr. Nguyen Dinh Xưng praised the company’s efforts and achievements in the past year. 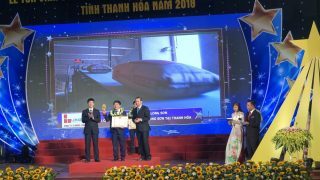 Besides, He acknowledged and appreciated the great contribution of Long Son Cement to the development of Thanh Hoa Province. 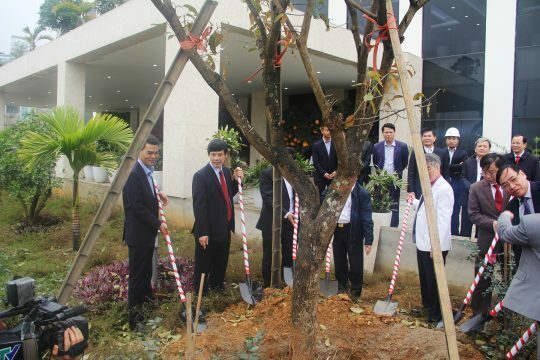 Mr. Nguyen Dinh Xung and top management of Long Son Cement Plant participated in the planting ceremony. 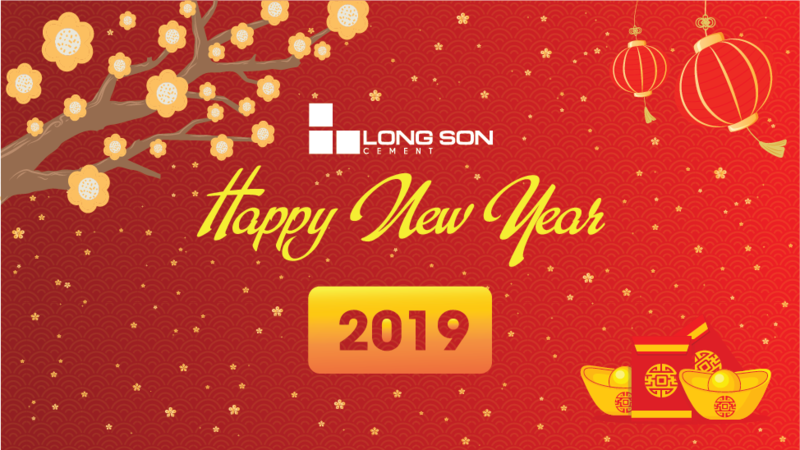 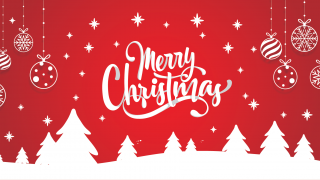 He sent his best wishes to all leaders and employees of Long Son Cement Plant: a New Year with more prosperity and success.